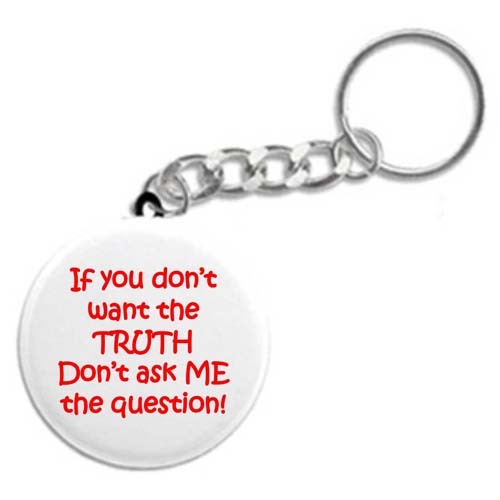 If you don't want the truth... Recovery Keychain - Keychains, Key Fobs, and fun 12 Step Recovery Gifts! "If you don't want the truth, don't ask ME the question!" A fun and funny key chain for anyone in recovery! Makes a great recovery gift for new-comers and old-timers alike!